The Washington Capitals defeated their rival, the Pittsburgh Penguins, 7-1 Wednesday night, ending their two-game losing streak. After scoring two goals combined in the past two games, Washington’s offense awaken against Pittsburgh. Capitals forward Nicklas Backstrom led the charge, scoring two goals and earning three assists. Backstrom scored his goals at the 17:30 and 16:58 marks of the first and third period, respectively. He now has 40 points in 36 games against the Penguins. 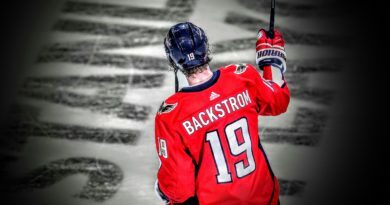 Backstrom earned assists on goals scored by defenseman Dmitry Orlov, forward Justin Williams, and forward T.J. Oshie. 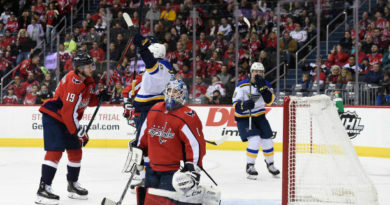 Oshie also scored two goals in the affair. He nailed his first goal while the Capitals played shorthanded in the opening period. Captain Alex Ovechkin also found the net, scoring his eighth goal of the season. Oshie and Ovechkin are tied for the team lead in goals. 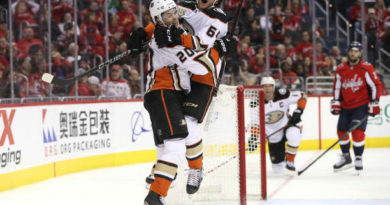 “It’s nice to see when we play like that, we stick together and we don’t give them anything … ,” Ovechkin said, per ESPN. Oshie and Williams helped Washington stray from its trend of scoreless power plays. Both forwards scored with a man-advantage, allowing the Capitals to convert in two of their seven power plays on the night. In their previous five games, the Capitals had not scored in their 11 opportunities with a man advantage. While Washington’s offense scored its most goals against Pittsburgh since 1995, Capitals goalie Braden Holtby held down the defense. Trotz rested Holtby the two games before Wednesday’s, refreshing him for his show. Holtby saved 25 out of the 26 shots the Penguins took on the night. He did not allow a goal until the 17th minute of the third period. Pittsburgh forward Phil Kessel ended the shutout bid with his fourth goal of the year. Holtby’s Penguin counterparts combined to save 32 of 39 Washington shots on goal. After officials penalized Pittsburgh defenseman Kris Letang for slashing Ovechkin, Washington’s captain immediately left the game holding his wrist. Ovechkin returned to the game and scored in the third period. The Penguins also had a key player leave the game because of injury. Pittsburgh goalie Matt Murray skated off the ice after teammate Evgeni Malkin delivered two accidental blows to his head. Malkin chased Capitals defenseman Karl Alzner toward Murray. Malkin did not slow soon enough, and he collided with Murray. The collision knocked off Murray’s helmet. Alzner and Malkin began to throw punches and Malkin’s stick jabbed Murray in the nose. Murray did not return to the game. 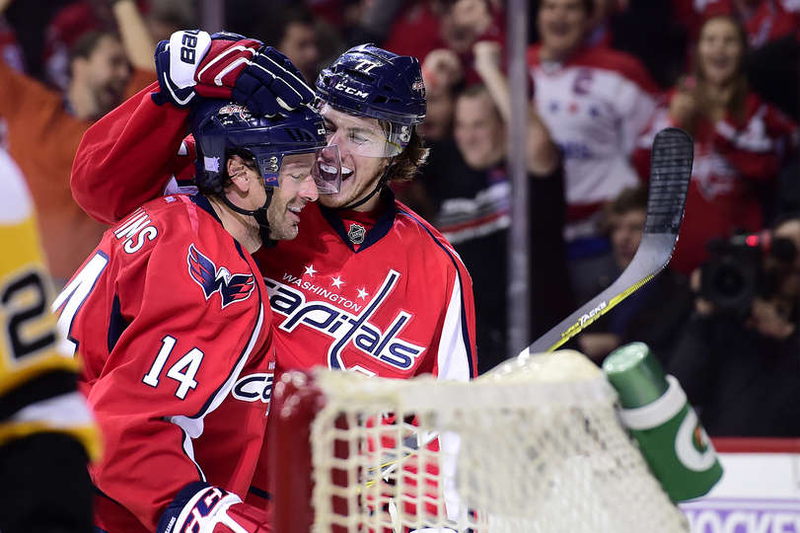 The Capitals improved to 10-4-2 and jumped from fourth to second place in the Metropolitan Division. The Penguins fell to 10-4-2 and dropped to third place in the division. Washington continues its five game home-stand Friday night against the Detroit Red Wings. Pittsburgh will travel to Brooklyn to face the New York Islanders Friday night.